Ruth: a young foreign widow without family or prospects who became the great- grandmother of King David and the ancestor of Jesus. 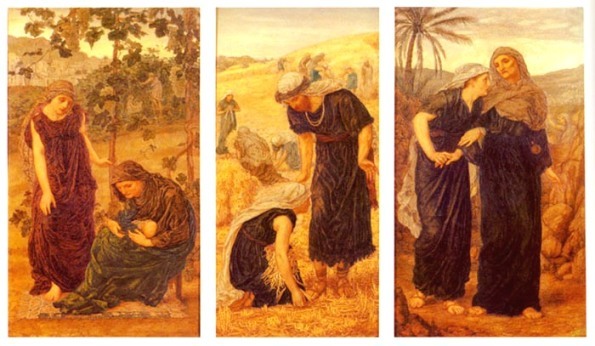 The women of Bethlehem played an important part in the story of Ruth and Naomi. 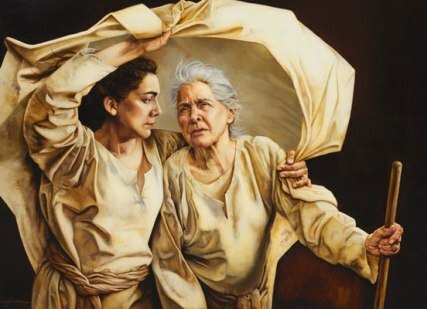 Ruth is one of the most famous women of the Bible – which is strange when you realize she was not an Israelite at all, but a Moabite woman, a foreigner, an outsider. Left alone when her husband died, she had one great asset: a shrewd old Jewish mother-in-law who loved her, and whom she loved. They stuck together through thick and thin – mostly thin at first, but things got better when Ruth met Boaz, a rich man who seemed to have fallen in love with her at first sight. Boy meets girl, boy loves girl. 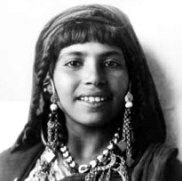 Ruth was a Moabite woman, from a country that was one of Israel’s traditional enemies. She was an outsider. But she married an Israelite and joined his family while they were living in Moab. Her husband died – how we don’t know, as did her brother-in-law, also a Moabite, and her father-in-law. When this happened, her mother-in-law Naomi decided she had no alternative but to return to her homeland, and to the village her family came from – Bethlehem. 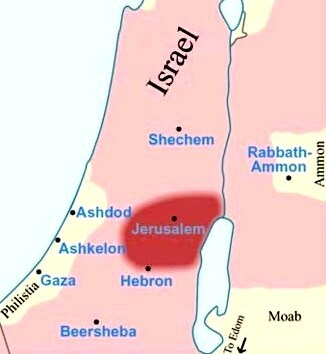 Map 5 at Bible Maps shows how far Moab is from Bethlehem- a long journey for an older woman. Fond as she was of her two daughters-in-law, Naomi prepared to say good-bye to both of them. 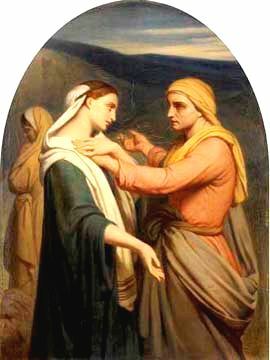 The two women returned to Bethlehem together. Naomi knew the people there, what they were like, who might help them. People of Nazareth describes life in a small town like Bethlehem. They must have been a sorry sight when they arrived – exhausted, in travel-stained widow’s clothing. But they arrived at just the right moment, in time for the harvest. They were more or less destitute, but resourceful. Ruth decided she would help glean the barley in the fields, to feed herself and Naomi and to get a store of grain for winter. 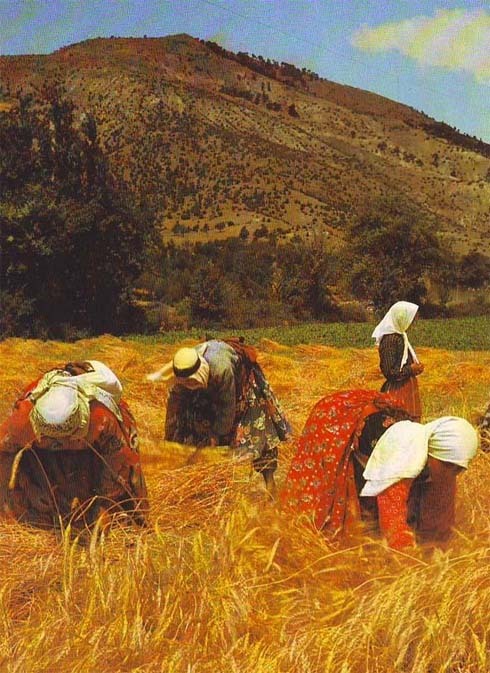 Gleaning was a form of charity for the disadvantaged in ancient Israel. The poor could walk behind the harvesters, picking up what was left. This is what Ruth did. Ruth went to the field of Boaz, a rich relative of Naomi’s. Boaz was, as it happens, an ideal match for any young woman. He was single, childless, well respected and rich. He was also a relative of Naomi’s through her husband’s family, so he had a legal obligation to help Naomi. It was not long before Boaz came to the field to see how the harvest was going, and met Ruth. It was love at first sight. He fell over himself to help her, going to elaborate lengths to get extra grain for Ruth, to protect her from young men who might hassle her, and to see that she was well fed. No doubt the workers noticed, and some of them reported back to Naomi. Naomi devised a plan to prod Boaz into marrying Ruth. She knew men, and she gave Ruth specific instructions on everything she must do. Ruth had the good sense to listen. 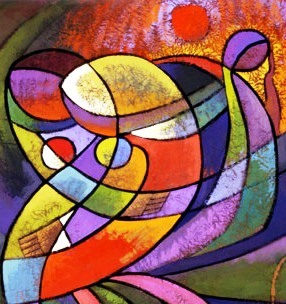 She perfumed herself, dressed in her most becoming clothes, and waited at the threshing floor until Boaz had eaten a good meal – she knew that a man with a full stomach was easier to handle. 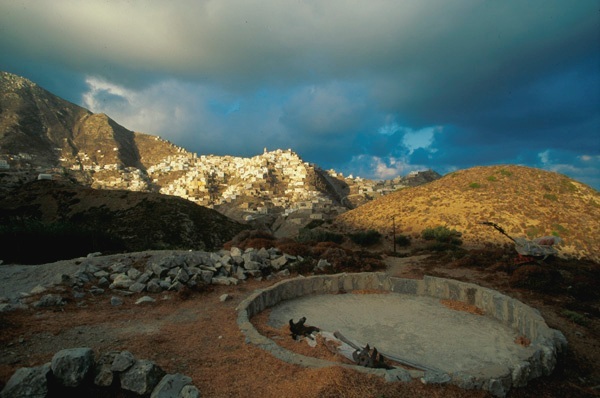 When Boaz finally lay down to sleep, Ruth approached him where he lay on the threshing floor – someone always slept there at night until the grain was removed, to guard against thieves. 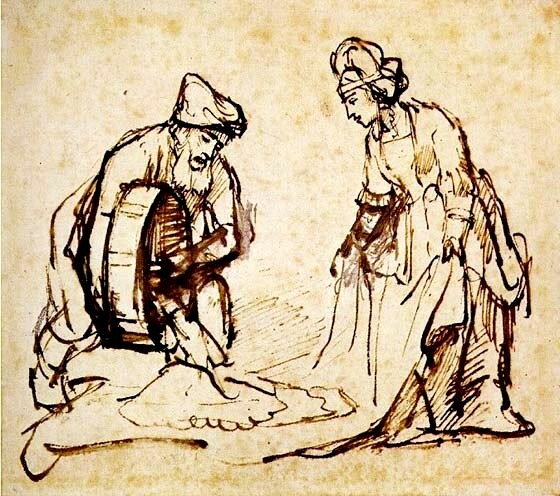 Lying beside Boaz, Ruth suggested that because he was a relative of her dead husband, he should ‘cover her with his blanket’, a euphemism for marriage. This was a custom of the time, called the Levirate Law. Ruth stayed beside Boaz until morning, stealing away before first light to return to Naomi, who pounced on her and demanded to know how things had gone. Was Ruth to be married or single? The two women waited impatiently to see how events would unfold. But the outcome was never really in doubt. Ruth and Boaz were married, and she gave birth to a son, Obed – who was the grandfather of King David. Naomi, who had lost her husband and two sons, now had a grandson, whom she ‘laid in her bosom’, becoming his nurse.